Last week I stayed in Bristol on my way back from Plymouth. 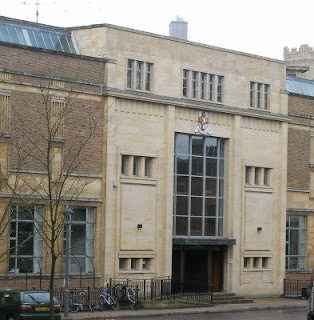 As I was going to be there I contacted both Bristol Universities and am pleased to report that at embarrasingly short notice they were both able to arrange for me to give my careers talk. First I travelled to University of West of England (UWE) and gave a talk to a small group there. This was a nice, relaxed environment and my talk was well received – I have been asked to come back and give it (with more notice!) to a skills/careers module. 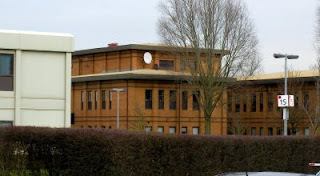 The picture below is of the building where I gave my talk. 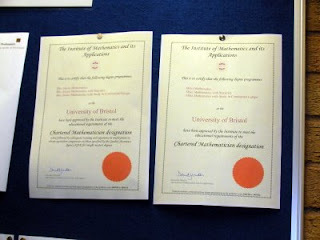 Next came the University of Bristol Department of Mathematics. 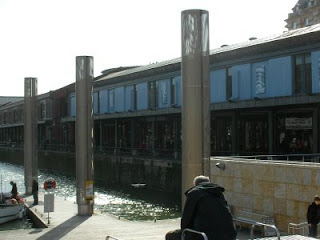 I visited Bristol before earlier in 2008 and so was familiar with it. This helped, since the chap who had arranged the talk was unable to meet me. I was at the front of the lecture theatre with 40 or so students looking at me and no idea what to do! Thankfully, Dan Lindsay of Matrix was in the audience and shouted out advice on how to get the projection system working. The talk went well and seemed to be well received. 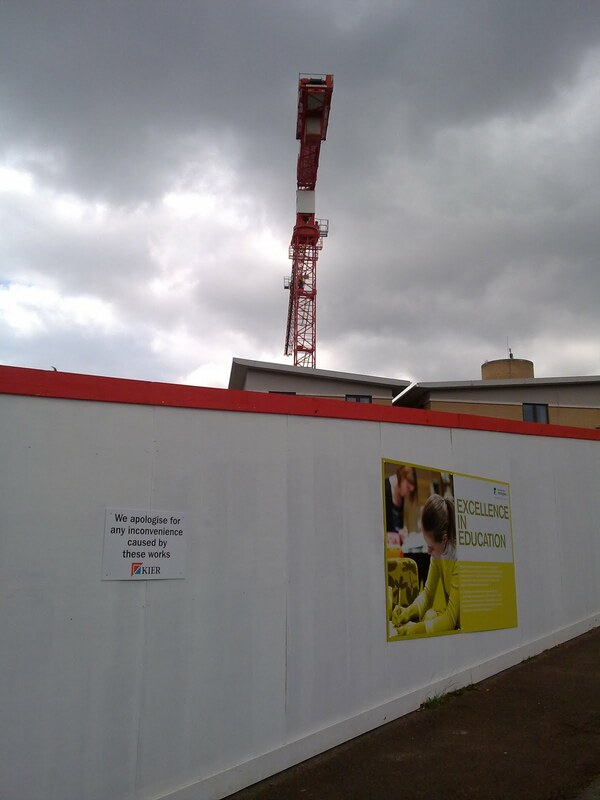 The picture below is of the maths building. 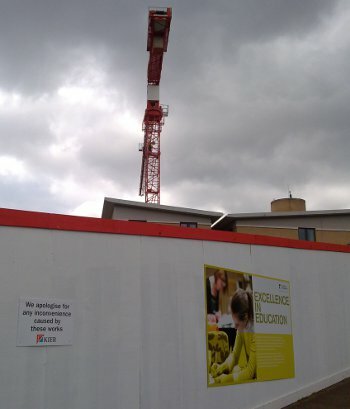 (for those grounded in reality, the sign was of course in the car park attached to the Department). While in Bristol I took the opportunity to visit the Watershed Centre and listen to a talk by Tim Harford. I know Tim as the presenter of BBC Radio 4’s More or Less but he is a writer and columist. In his latest book, the Logic of Life, he talks about the hidden economic logic in everyday life. One of the interesting titbits I took away from this was an experiment in which volunteers were asked to fill in a survey (arbitrarily) and then offered a reward; the choice of a chocolate bar or a piece of fruit. One group were offered the choice to take away now, while another were told their reward would be brought to them in a week’s time. The group who were offered a reward now tended to choose the chocolate bar; while the group who were told they would receive their reward in a week tended to go for the fruit. After a week, when the researchers arrived to give them their reward they were given the option to change their choice, and a significant number changed to opt for the chocolate bar. The conclusion, then, is that were are very good at deciding to make the correct choice in a week but tend to make bad decisions in the hear and now. Tim believes this explains some behaviour in dieting, quiting smoking, etc. As a chap who had packed an apple in his bag that morning but had subsequently bought a chocolate brownie, this has certainly stuck with me. This reminded me of my own way of taking decisions. I have for a few years now always tried to take decisions as if I were not the one who has to follow through the consequences. I will think “is this the right thing to do?” or “shall I ask my assistant to do this?” If the answer is yes, as I don’t have an assistant I will have to do it myself. I find I tend to take better decisions when I abstract away the actual doing of the task. This came about when I realised people tend to give better advice than they themselves employ, and is of course a laziness-avoidance measure as well. 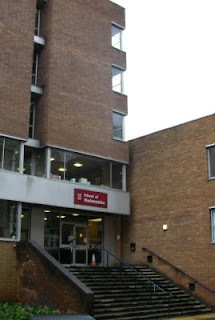 Bristol is in the interesting position of being a university with both a Department of Mathematics (above) and a Department of Engineering Mathematics (below). I met with staff in the Mathematics department and enjoyed a tea break in the Engineering Mathematics department. (Incidentally, I drank from a “BAMC 2007” mug and I am off to BAMC 2008 next week in Manchester). As at Bath the day before, there were less people around due to the Easter break but I still managed to meet some people with interesting views. There was a view expressed that students may respond well to graduates returning to their university to give talks on their careers, which combines well with views expressed yesterday by Sue Briault at Bath that students really want to hear from those who are really doing the job. I will have to explore the opportunities the network of IMA members has in this area.